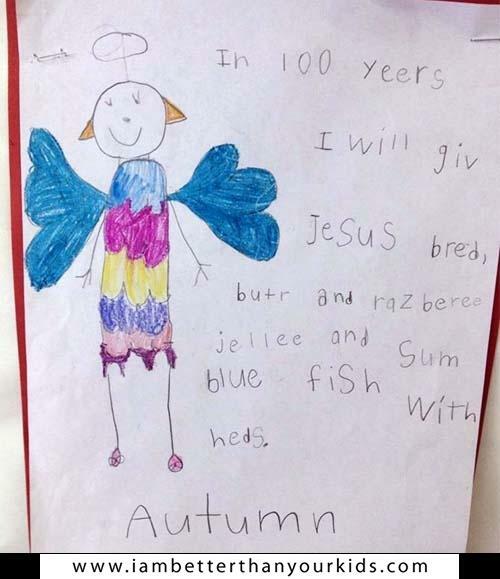 Why will you give Jesus bread, butter, raspberries, jelly and some "blue fish with heds" in 100 years? Jesus doesn't want your garbage. Nobody does. 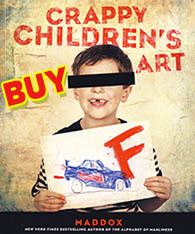 And drawing yourself an angel is kind of like bragging about being modest. Get some humility, douche.